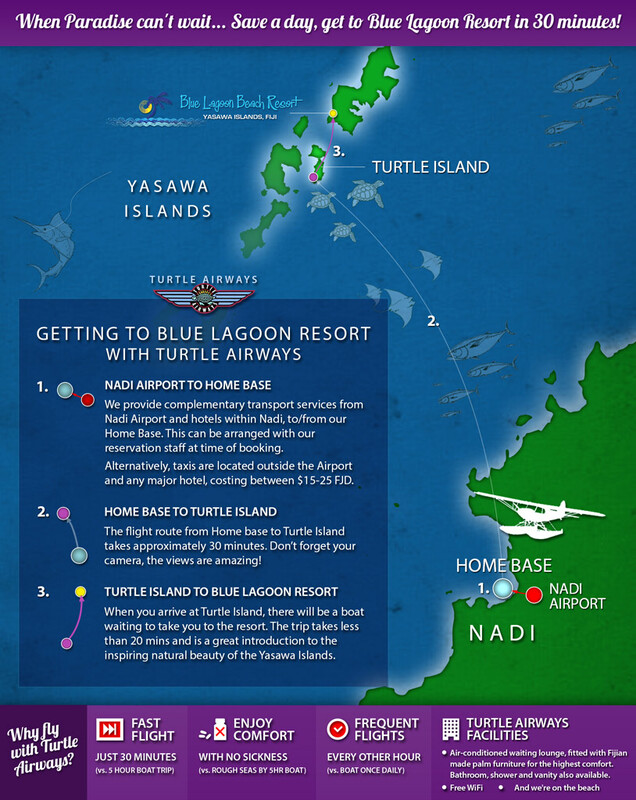 Fly by seaplane to Blue Lagoon Beach Resort with Turtle Airways and start your magical vacation in incomparable style. The resort resembles a hub at the centre of a web of trails stretching out to all corners of the beautiful island of Nacula, weaving throughout its dramatic tropical geography: rainforest, mud flats, mangrove swamps and secluded beaches. The Plantation Tour is a sightseeing highlight at the top of Nacula – here guests will discover Navotua Village, home of a vigin coconut oil company producing wonderful products from locally grown coconuts. Guests of Blue Lagoon Fiji can also view the incredible Sawa-i-Lau Limestone Caves and gently float past limestone walls of immense natural beauty. At the resort, your hosts encourage guests to share a meal together in a truly multicultural coming together of minds and souls. Enjoy memorable dining experiences, including the famous curry night, where as many as eight Indian curry dishes can be sampled in one sitting. Or, for a private dining experience, Blue Lagoon Resort Fiji can provide a beach dinner of fresh fish, lobster and champagne, or you can even join the local lads who catch the fish on an authentic island hand-line fishing trip! 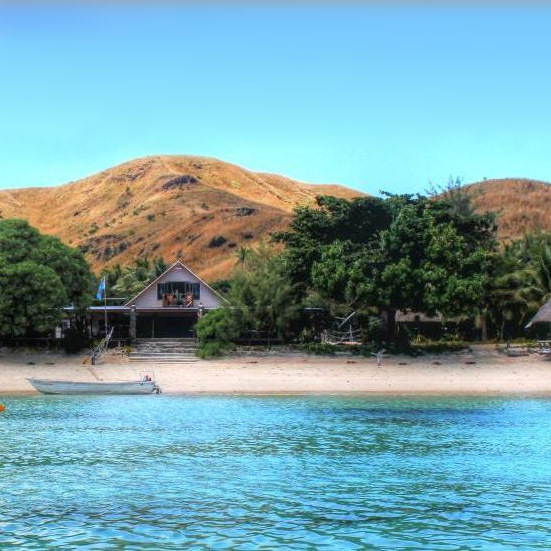 Blue Lagoon Beach Resort is found on Nacula Island in the ‘Blue Lagoon’ area of the Yasawa Islands. Nestled between soft white-sand beaches and dramatic hills, the resort rests in an ecological potpourri, surrounded by banana plantations, papaya trees, native birds, tree iguanas and a vegetable garden to promote self sustainability. Guest reviews on Tripadvisor all agree on an absolute must-do when staying at Blue Lagoon resort: a trip to the renowned Sawa-i-Lau Limestone Caves, a stand-out experience of the northern Yasawas, departing several times per week. A thrilling visit to the inner sanctum of the cave, say locals, is needed to have truly been to the Yasawas. In the near complete darkness of the cave, guests can feel the spirit of the Yasawa, an awesome experience for all. Guests also sing the praises of the village visit, when they get to meet the friendly inhabitants of Nacula Village and enjoy learning about traditional Fijian life including watching a meke performed by villagers. Blue Lagoon Beach Resort has a close relationship with the village helping to make sure the children are resourced for primary school education, and supporting the cause to ensure all island women have access to breast cancer screening. The resort has legendary teams running the fishing and dive operations. Fishing devotees will love the chance to pursue unfamiliar species at spots known only to locals. Hand line fishing and chartered fishing tours will go after Mahi-mahi game fish and delicious Walu – staff will even bake your own catch for lunch the next day. PADI dive instructors are ready to take guests to any of approximately 30 outstanding dive sites including drop-offs, swim throughs, pinnacles, walls and reefs, all resplendent with marine life. Divers can commonly sight black and white tip reef sharks, turtles, lobsters and more tropical fish than they can excitedly point out. Truly brave guests will thrill at the chance to do the Shark Encounter dive, and highly experienced divers can take advantage of PADI courses all the way up to Dive Master, a rare offering by a dive centre in these parts. For a slightly gentler pace, superb snorkelling is readily available for all guests right off the beach, directly in front of the resort. This area is a protected marine reserve and provides amazing snorkeling for young and old, and new and experienced snorkelers alike. Guests also have the option of daily snorkelling trips to explore different reef formations and marine life. Evenings can be spent enjoying the many fun activities on offer including movie night under the stars, beach bonfire, crab racing, traditional Fijian meke (singing and dancing), quiz nights, and the volleyball challenges. For more of an adults-only time, a romantic dinner on the beach, or kava time with staff can also be organised. Travelers on a budget can stay in dorm accommodation and enjoy plenty of space (no bunk beds) and air-conditioned comfort, located in a tropical garden setting and handy to the main resort facilities. Shoestring travellers can also avail themselves of additional privacy provided by the Bula Lodge Accommodation – two people can enjoy their own space, sharing only the bathroom facilities with the dorm. Guests wanting to stay in a villa have a wide-range of options to suit couples and family groups. These villas have both garden and absolute beachfront settings, and such incredible features as private outdoor day beds, charming four-poster beds, private decks, sun huts, and beach loungers. For the very best of Blue Lagoon’s accommodation offerings, look no further than the utter luxury of the Palms Beachfront Villas. Boasting two large bedrooms, private deck with sun loungers and a unique open-air bathroom, guests can try the unique experience of shower by night while marvelling at the starry sky above. Visitors to Blue Lagoon resort will immediately feel at home in a warm inclusive atmosphere. Accommodation ranges from budget dormitory options right through to once-in-a-lifetime deluxe beachfront villas. A raft of great packages and deals are always kept fresh to make stays even more flexible and affordable. 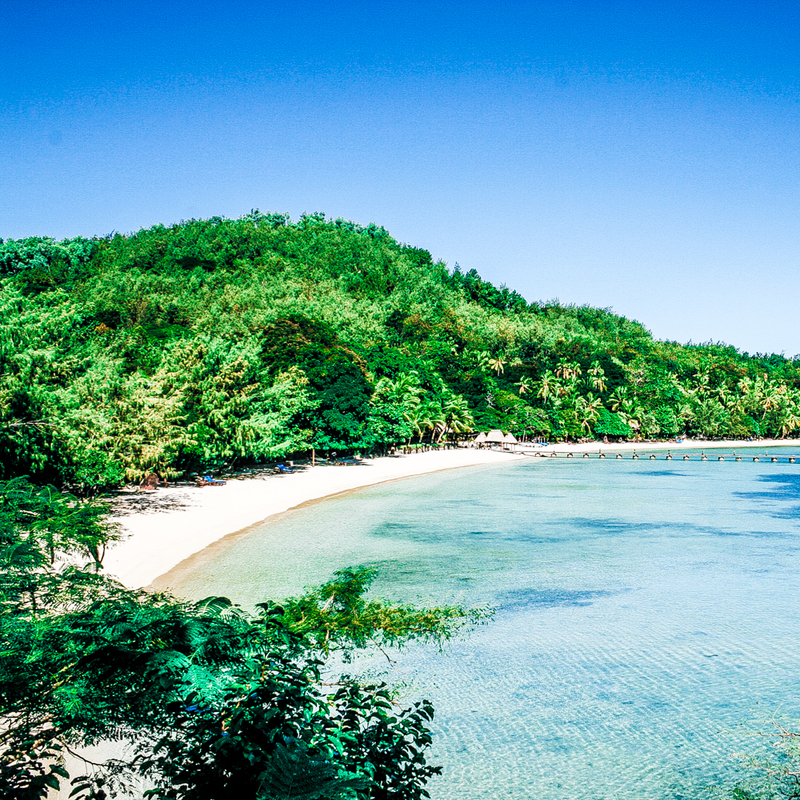 Travelers who want to explore the culture and traditions of Fiji will feel right at home. The local village of Nacula is inextricably tied to the heart of Blue Lagoon Beach Resort. They live in a mutually beneficial relationship resulting in unparalleled access for visitors to see and experience the authentic Yasawa way of life. Teresia’s Tea Party offers a lesson in how to bake – village style – while being regaled with lemon tea and village stories from times gone by.local character, Teresia.Travellers who want to meet some of the world’s friendliest people, and witness a lifestyle virtually unchanged for hundreds of years, will never forget their stay at Blue Lagoon.